Earlier in the week, I had almost forgotten about that white stuff that falls from the sky. Of course, I know where we live and it is hard to forget the snow from last year. This could have been the least snowy on record for February, but it was not meant to be. No, that funny 29th day killed that plan thanks to Mother Nature sending us a dose of reality. As of Tuesday, we had only received .6” of snow during the month. With a storm coming on Leap Day, we were going to easily go over the 1.2” record. Thank goodness we all made it home safely, although skidding on the road was an issue. This morning, schools throughout the area were closed for the first time this season. The boys stayed home with me as more snow fell. After lunch, I went out to take some photos and get rid of the giant boulders of snow at the bottom of the driveway from the plows. How has the winter been by you? Mild, typical, snowy, tropical, or something in between. Share below and let me know what you think. We have had a very mild winter, which I do not like…there’s been no snow and it really hasn’t even got cold enough for long enough to kill off all the germs & bugs that have been hanging around. We had severe storms and even a few tornados in our area this week. Crazy weather! It has been very mild here in southern New England. We had just a bit of snow the other day. My daffodils have already sprouted. Actually I think we’ve had a very mild winter, but when the snow does come it’s sooooooooooooo depressing. Have a great weekend and COME ON SPRING! I’ve been working so much this winter that I haven’t had time to enjoy or not enjoy the snow/winter. Snow never bothered me though. I don’t care one way or the other. Like we can stop it??? I must say that I’m really jealous. We didn’t get one flake. We normally don’t more than a storm a year, but dang it…I miss the snow! Liz @ A Nut in a Nutshell´s last blog post ..Do You Love Movie Previews As Much As I Do? I actually thought about you when I saw the storm track. We are actually tucked between the two storms. It’s been not so bad…knock on wood. Harriet´s last blog post ..Prada Boots…meant for walking? Oh My Goodness that is a LOT of snow… it has been a really warm winter this year here!! We had an unusually mild winter. Today we had some snow, but, it’s winter and snow is part of the winter scene. It’s been HOT here. or just warm. Rarely cold. This week it’s all 80s and humid and ick. Happy weekend and enjoy snuggling. JamericanSpice´s last blog post ..When Will You Die? We’ve had a pretty good time. My daughter is learning to ski, learning to skate and learning to shovel Lol! 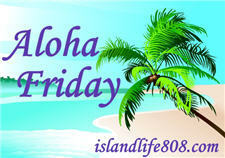 Menopausal New Mom´s last blog post ..Aloha Friday – Shovel or Snowblower? We have hardly had any winter here in Texas this year! Extremely mild. Usually having ice storms, and occasionally some snow…. none of that this year. it’s already up to 80 degrees here. This Winter has been warmer than usual. It usually gets down to the lower 60s around this time but it’s been more upper 60s and Lower 70s. It has been so mild here. Some weeks all I feel like I do is blog about the lack of winter. And being ill. The lack of cold temps have made us more sick than ever before. Love the snow pictures! Burgmom´s last blog post ..So, Who do you think you are?